May we not forget that it was God who arranged and provided for us inside our mother womb, then He brought us out in the world and arranged mother's milk still for our provision, and then He inspired love and care for us into the heart of our parents who brought us up when we were weak and still a child and through our parents provided us our rizq (provision).. His providing goes on and on for us, even though we may now grown adult and have become blind to the reality of Him still being the Provider, ar-Razzaq, as He always is as He was even before we existed. The spiritual law that Rizq is apportioned and is constant for creation is comparable to the law of physical (seen or zahiri) world regarding conservation of energy. We know that the total energy in the universe is fixed from the time of its coming into existence, that is to say, God in the beginning of time pre-determined the amount of energy in this cosmos and every energy we see around us are all about one energy transforming into another. In it all the total amount of energy remains the same. This is a manifest Sign of God's balance. Similar it is about Rizq for human being or any creation. This 'Conservation of Rizq' is almost like the 'Conservation of Energy,' the Source Pool is constant. Their rizq is apportioned by God and is dynamically constant. I am coining this new term, "Conservation of Rizq" to indicate this dynamic constancy. The constancy of the Divinely apportioned provisions may boggle the mind, since our rational mind may argue how this be possible? If I earn differently, doesnt my rizq gets changed? Yes and no. Yes if what you consume, what benefits you and what you give as charity change by your good intention and grace of God (In fact in the sacred tradition there are enumerated a number of actions which increase the provision). But dont be fool to think that whatever you earn goes directly in your benefit. Often it doesnt even though we may not realize it. 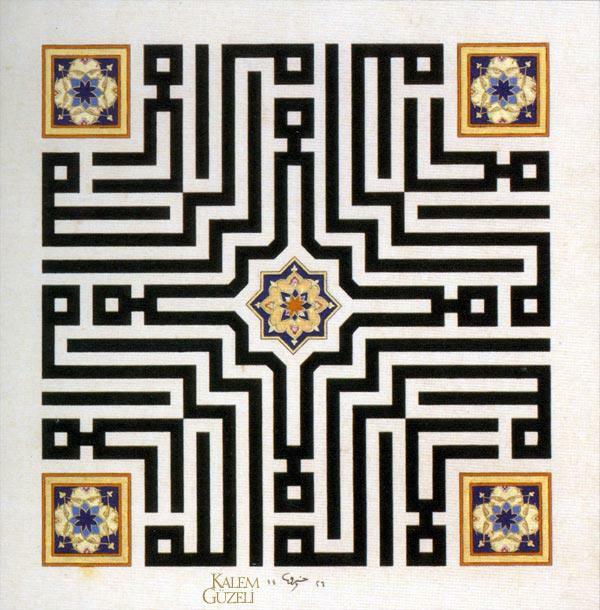 I have a feeling that the conservation of rizq is far more elegantly controlled than we realize. It might well be possible that it applies to even to the level of how much nutrient our body will absorb from a food. We may eat a lot of food together, but our individual system will absorb a certain amount which will directly benefit our body and the rest will be rejected.Thus the dynamics of rizq may well be distributed even in the most subtlest of ways than we can possible fathom. You try to finish your rizq quickly by over consuming, eating more - having more enjoyment - and your life span will be shortened (whatever be the external mechanism). You may earn a lot and keep them in the bank fooling yourself that you have all that money, but at the end of the day you will benefit from them only what you are meant to as a way of your rizq, there either will be circumstances where you will have to spend that money on something else (be that expensive medical bill because of expensive diseases, may God save us from such calamities) and that money was actually the rizq of the doctor, hospital in that case and you were only the keeper during this period, or you will die leaving that wealth to someone else, or a need will be thrown of to you where those money saved over 20 years will be spent for someone else in 10 days. There is also a similar idea conveyed in the Jewish Mystical tradition of Kabbalah that says that if you earn what you dont deserve or what you have not sufficiently worked for - that is called "bread of shame" ~ and you actually pay a price at the end and thats how also conservation of riqz is carried out. Prophet Muhammad said "The holy spirit inspired in my soul that nobody will pass away until he accomplishes his livlihood (rizq), term of life (ajl), and destiny." Everything which goes on in life is an expression for rizq transactions. Sometimes we are recipients of material and financial things from others, and sometimes we are the means through which such rizq is apportioned to others. But, in point of fact, all physical, material events are expressions, in their own way, of rizq transactions of one kind or another. We use scientific, economic, political and philosophical language to try to explain such phenomena. The essence of these events, however, is that they are all manifestations of Divine rizq being apportioned. Sustenance can be divided into two parts: Rizq Taalib is that sustenance which reaches a person without any conscious effort from his, her part; like inheritance and gifts, which a person gets. When a child is still in the womb of her mother, the food it gets also belongs to the kind of sustenance that Allah provides without effort and as directly Divinely apportioned. Rizq Mutlub is that sustenance, for which a person tries and strives hard to acquire it and if he does not strive for, it will remain away. My son, sustenance is of two types: 1) Sustenance, which you pursue and acquire; and 2) Sustenance, which pursues you; and even if you don’t go after it, it will come to you. How many of you must have seen those who go after sustenance and bear lot of hardships; but sustenance is reduced for them (and on the other hand) there is someone who treads the middle path for acquisition of sustenance, but capabilities (circumstances) help him! Some scholar say that everyone’s sustenance has some limitations and an appropriate ceiling. That if a person works hard and strives, he can reach the extreme height of sustenance and if he becomes lazy, his sustenance will be reduced to the lowest stage. And in any of the conditions, a person cannot reach the ceiling of sustenance due to hard work and greed. Therefore it is advised in many traditions that a person should follow the middle path for acquiring wealth, because greed does not increase sustenance of a person. O man! 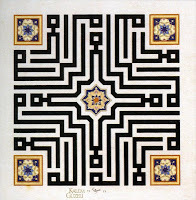 About sustenance, don’t act like an overpowering person and a winner in battlefield and (on the other hand) do not rely on luck only; because to go for acquiring sustenance is from traditions and to follow the middle path is from being pious and piety is not stopping from sustenance (in the same way) greed does not increase sustenance. Surely sustenance is destined and the death also fixed; and greed is a means of earning sins. Although the only thing that does not have limits and boundaries and a person can through that increase his sustenance and its ceiling is through asking from the grace of Allah as ‘grace’ or fadl itself means increase. There is a very good reason why the Lord's prayer, the most important prayer taught by Christ to the world contains the phrase "Lord, give us our daily bread." This is for making the servants very conscious to the fact that with grace of God we receive and so that we do not suffer from illusions. Son, one who acquires the daily bread and if his faith is weak should necessarily take advice from the fact that Almighty Allah has created him and kept him in three conditions and his sustenance reached him. Although in any of the conditions he was not after the daily bread and had no way out. (Such person should know that) Almighty Allah will give him sustenance in the fourth condition also. But the first from the three conditions is this that when he was in the womb of his mother, Almighty Allah arranged for his growth; so that cold and warmth may not harm him and gave him sustenance. Then He brought him out and gave him sustenance through the mother’s milk, which was enough him. He gave him training and improved his condition, although he was not having the power enough to move on his own and perform those tasks. What really makes a person free in the world is his, her needlessness. A true and complete human being lives a life of complete freedom in his, her total surrenderedness in God and in deep trust about the truth that everything that he, she needs is fulfilled by God, who in the first place brought him, her here. This trust, certitude instill within man the greatest freedom and that person is like a king in the world, even though he may possess very little. To be free of needs is an essential practice for one who strive to be complete human beings. Jesus Christ used to teach his apostles this very teaching. He himself was completely free of any need of the world of appearance (dunya). His teaching instructions for his apostles were of the same through which they attained great eminence both in this world and in the next. Prophet Muhammad used to take allegiance (bayat) on the basis that his companions will never ask any people for anything. This was also a practice of needlessness, so that they may live the truth that only God is worthy of asking anything. 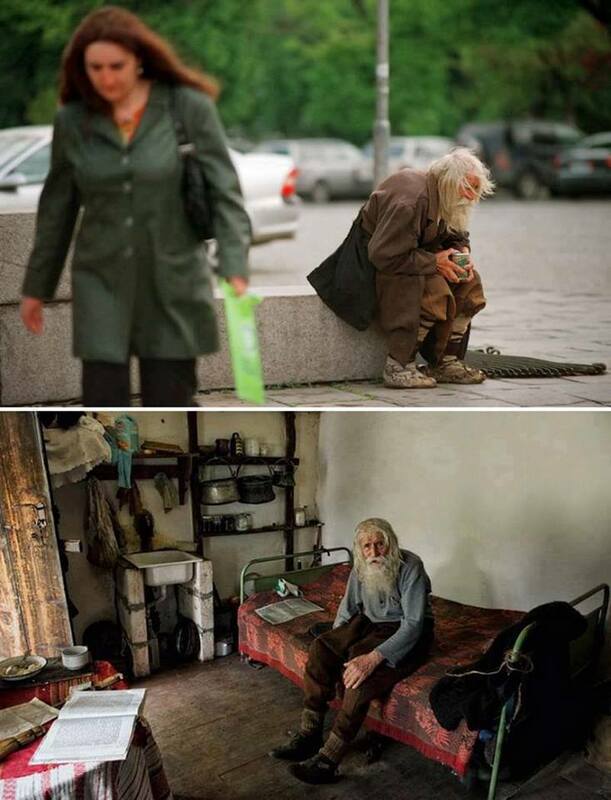 Meet 98 year old Dobri Dobrev, a man who lost his hearing in the second world war, walks 10 kilometers from his village in his homemade clothes and leather shoes to the city of Sofia, where he spends the day begging for money. Though a well known fixture around several of the city’s churches, known for his prostrations of thanks to all donors, it was only recently discovered that he has donated every penny he has collected - over 40,000 euros - towards the restoration of decaying Bulgarian monasteries and churches and the utility bills of orphanages, living instead off his monthly state pension of 80 euros. (credit) Now that man I call kingly who has transcended his needs and so generous that he abundantly gives. Rizq or Divinely Apportioned Provision is a Mystical Distribution which is subtly done by the Most Subtle One. I am coining a new term here, "Conservation of Rizq."